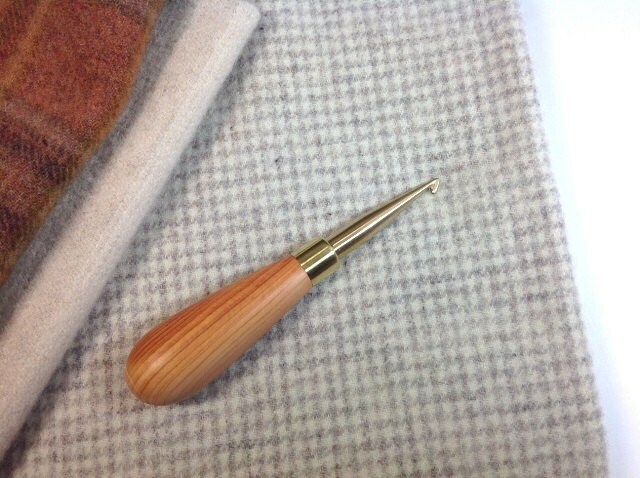 A Hartman hook is a great investment for primitive rug hooking. 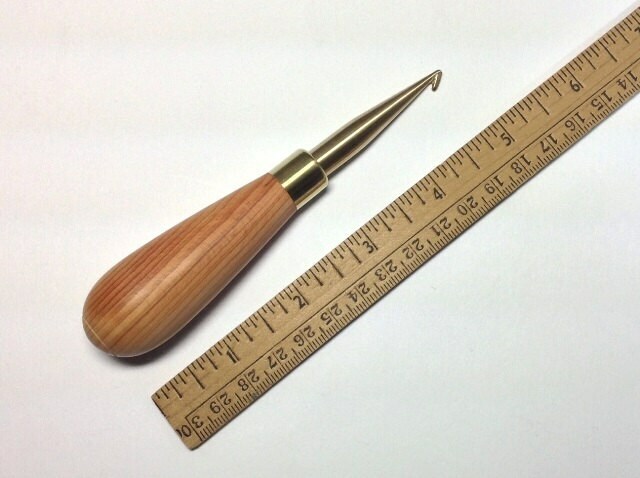 The thick brass shank is a great help in making a hole large enough for your 8.5 cuts or wider. 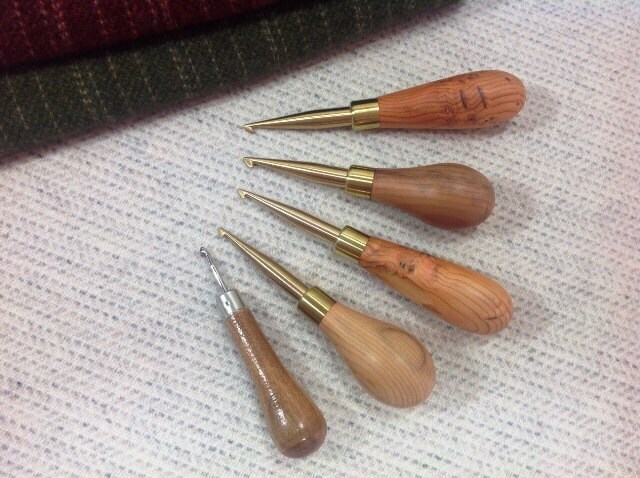 If you work with torn wool strips, the 9mm is a great tool to have. It is so easy to pull your loops through your backing fabric which makes it easier on your wrist and hand. 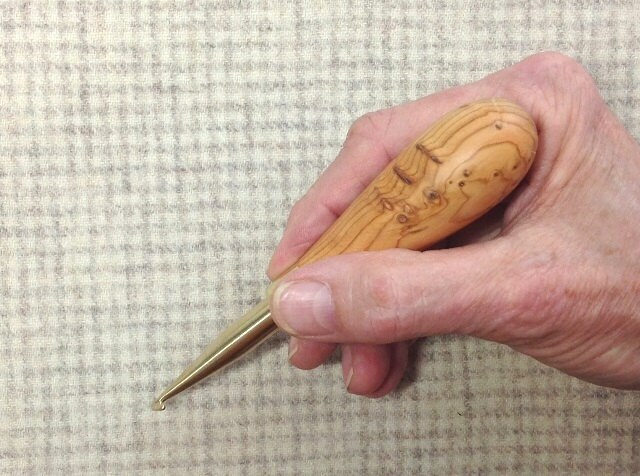 This 9mm pear shaped hook can be held like a pencil (see 3rd photo) or if you have larger hands you can also palm the handle . The 4th photo shows a comparison of the hooks that I offer. The 9mm Pear Handle is at the top. No shipping charge on this item when purchased with another item from my store. Good size hook, nice feel, sure to be using a lot. Very comfortable to hook with. I think I will like it! What a difference it makes hooking with this wonderful hook! Feels great and is beautiful!